My name is Petra Jurečková and I'm 24 years old. My hometown is small village Závažná Poruba in the middle of Slovakia. Currently I study in university in Prague. I ski since I was 3 years old. Till my 16 I was a race skier and I gained a lot of experiences on the skis. 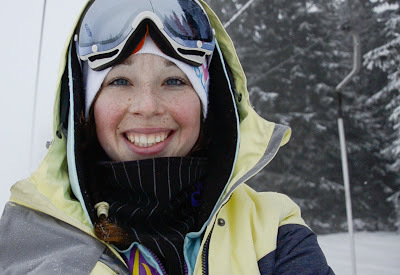 In 2007 I attended a ski-instructor course, where I met a guy who was a freeskier. Since that I was curious what he was doing and how. I have started to search on the internet and ride the snowpark close to my city. I entered some competitions and events. Also I organized one event by myself. In season 2010/2011 I was asked to ride for Czech brand of freestyle skis OXskis. I attend competitions in the freestyle skiing at home as well as abroad.